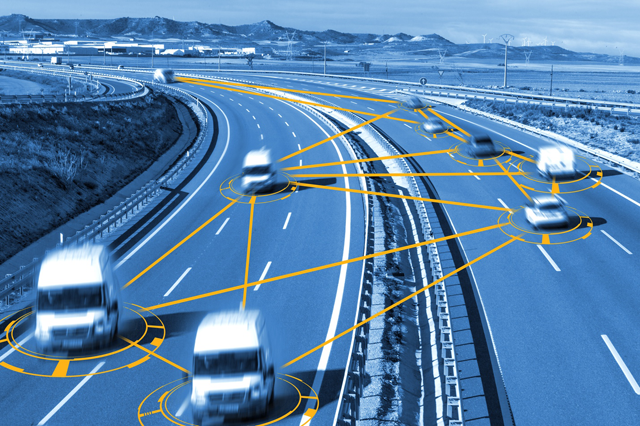 A technological revolution is reshaping the transportation and fleet industries. Autonomous vehicle technologies, widely referred to as Advanced Driver Assist Systems (ADAS), are already offered in various forms on new vehicle models; however, the National Highway Traffic Safety Administration (NHTSA) and the Insurance Institute for Highway Safety (IIHS) are forecasting a sharp rise in the breadth and depth of this technology over the next three to five years. In the RethinkX, Transportation Project, Stanford economist Tony Seba states that 95% of all passenger miles will be in autonomous electric vehicles by 2030. Forecasts vary among industry experts, but it’s unanimous that autonomous vehicle technology is the wave of the future. Vehicle autonomy offers many advantages that will ultimately transform transportation into a safer, more efficient, and more widely-available service. Increased safety is perhaps the strongest driving force behind the autonomous vehicle revolution. According to NHTSA, 94% of serious crashes are due to human error. By reducing the number of crashes, vehicle repair and replacement costs will be reduced and lost employee productivity will be prevented. Automated and connected vehicles will enable a world in which traffic flow is optimized. Improvements in traffic flow will shorten the average urban commute time, and fuel consumption will be reduced as fewer vehicles idle in traffic jams. The percentage of senior citizens in our population is increasing. As more individuals lose the ability to drive due to advanced age, vehicle autonomy offers an option to help maintain mobility and independence. The same holds true for individuals of any age who cannot operate a vehicle themselves. How will Vehicle Autonomy and Advanced Driver Assist Systems affect Fleet Operators? Companies operating vehicle fleets will face a new vocabulary of technical terminology and will be met with new vehicle repair and maintenance costs. Companies operating vehicle fleets, especially smaller fleets without a dedicated fleet manager, will benefit from the expertise offered by experienced fleet management companies such as Enterprise Fleet Management. Today, mechanical repairs for vehicles enrolled in Enterprise Fleet Management’s maintenance management programs are overseen by technicians certified by the National Institute for Automotive Service Excellence (ASE). And for the past 22 years Enterprise’s National Service Department has received the ASE Blue Seal of Excellence recognition. Enterprise is the first fleet management company to receive this honor. Having the experience and knowledge of an automotive expert can save a company thousands of dollars in repair costs. Access to a team of ASE-certified technicians offers companies peace of mind that trained professionals are committed to understating the future the automotive industry. These are the terms used throughout the industry as defined by NHTSA. Level 0: No autonomy, the driver is responsible for all driving tasks. Level 1: The driver controls the vehicle, but some assistance features may be included. An example of this is adaptive cruise control. Level 2: The vehicle features combined automated functions, such as acceleration and steering, but the driver is responsible for driving the vehicle. Level 3: The vehicle requires a driver, but the driver is not required to monitor the environment. They must be ready to take control of the vehicle at all times. Level 4: The vehicle is capable of performing all driving functions autonomously under certain conditions. The driver has the option to take control of the vehicle. Level 5: Referred to as full automation or driverless, the vehicle is capable of performing all driving functions under all conditions. How will Advanced Driver Assist Systems (ADAS) affect Maintenance Management? Autonomous vehicle technology requires many new components such as radars, lasers, cameras, and additional onboard computer processors. These additional components and systems translate into more opportunities for component failures; advanced technology requiring sophisticated equipment, training, and technician skill; and additional repair procedures which lead to increased labor charges. A recent study conducted by AAA found that the addition of ADAS systems doubled the cost of collision repairs. ADAS repairs require special technician expertise and equipment. Some repair shops may not be properly equipped to perform repairs on this new technology. Enterprise Fleet Management leverages a vast network of service vendors across the U.S. and Canada to ensure coverage for a wide range of vehicle repair and maintenance needs across all vehicle manufacturer brands. Because ADAS can include windshield-mounted cameras and bumper-mounted radar units, windshield replacements and bumper replacements may now require ADAS system resets and calibrations, adding downtime and cost. ASE-certified technicians provide repair oversight and technical advice to clients enrolled in maintenance management programs to minimize vehicle downtime, manage repair costs, and ensure correct repair procedures. Enterprise Fleet Management and its affiliate Enterprise Holdings, the largest car rental provider in the world, are committed to the kind of innovation, problem-solving and industry leadership that help customers meet their mobility needs today and in the future. Enterprise Holdings’ fleet is well-positioned to quickly and efficiently introduce millions of consumers to new fuel and vehicle technology, especially as transportation infrastructure and alternatives, including autonomous vehicles, evolve in the future. In 2018, Voyage – with a mission to serve communities with autonomous vehicles– also announced a first-of-its kind partnership with Enterprise Fleet Management. Voyage’s introduction of its second generation (G2) vehicle features its own autonomous driving technology as well as new best-in-class sensor technology.